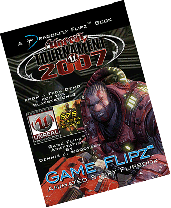 Free Halo 3 Game Flipz Demo Download, Print, Cut & Assemble !! Introducing Dragonfly Flipz, a new, innovative paperback format. 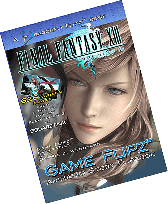 Imagine your projects' animated short, film trailers, game cutscenes, and characters cool moves, seen in motion, in these exciting animated flipbooks. 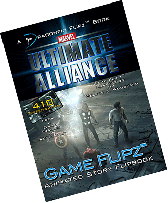 With the addition of dialogue word balloons, and text, the Dragonfly Flipz mini-book presents daring, new possibilities in graphic storytelling. 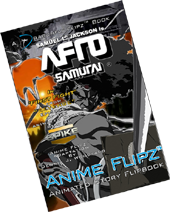 Dragonfly Flipz Mini-Books are great promotion item or as a tie-in book for sale in the Entertainment, Video Games, Manga, Graphic Novels, and Comic Book marketplace. Custom Designed for Your Project. Alien Parade Now on Sale.